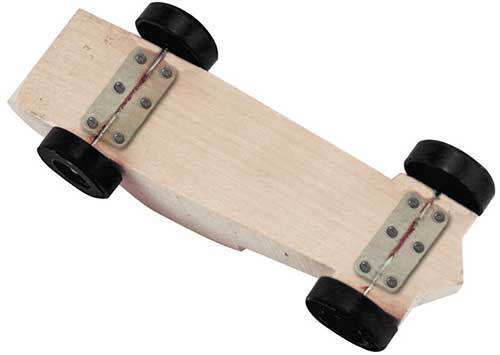 An easy way to mount wheels and axles on a Pinewood Derby car. It's as easy as ABC! 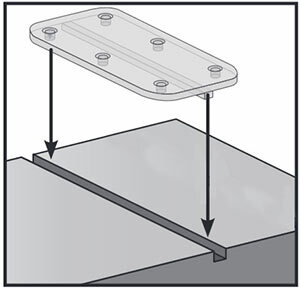 This under car plastic plate will keep your Pinewood Derby car wheels aligned and secure race after race. It features a ridge that slides right into the pre-cut axle groove - converting the groove into a hole for easy insertion and alignment. It also helps to secure the axle to the car body minimizing the need for glue. The keeper is transparent so the axles can still be examined by race officials. This unique design allows for adequate track clearance and has no interference with the performance of your car. 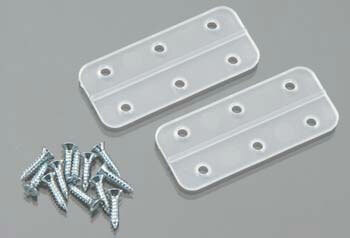 It is simple to install and includes 6 screws per plate, making it easy to attach to the car. 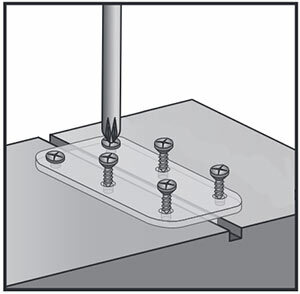 The keeper can also be used to repair broken or chipped axle grooves. Each plate is made of lightweight plastic. When applied with the 12 screws provided, 2 plates will add .2 oz to the weight of your car. 1. Slide the keeper into the axle slot and center it on the car. 2. 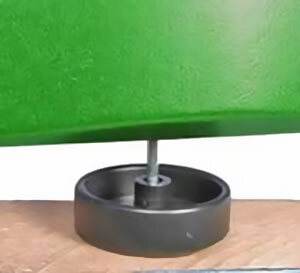 Create a pilot hole with a drill or one of the axles. Install screw into pilot hole. Do not over tighten. 3. 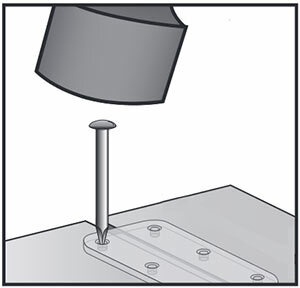 Create pilot holes for the remaining screws and secure the keeper with the screws. 4. Slide the axle into the wheel hub. Tip the axle up then add graphite between the axle and wheel. Tap and gently spin the wheel to work the graphite into the wheel. Continue until no more graphite can be added. 5. Insert the axle part way into the uppermost part of the axle slot. 6. Place the end of the axle against a hard surface then push the axle into the car by pushing against the axle with the car block. 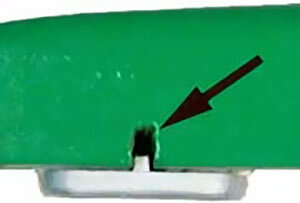 The axle keeper will prevent the axle from going in too far. 7. The axle will need to be glued if it slips easily into the car body. Remove the axle and keeper. Place a small drop of wood or paper glue in the slot about 1/4" in from the side of the block. Re-attach the keeer plate. Insert the axle. 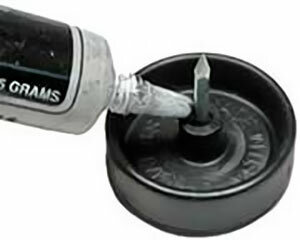 Be careful to keep the glue away from the wheel. Not for use on Awana, Royal Ranger and other cars that have straight through axles.